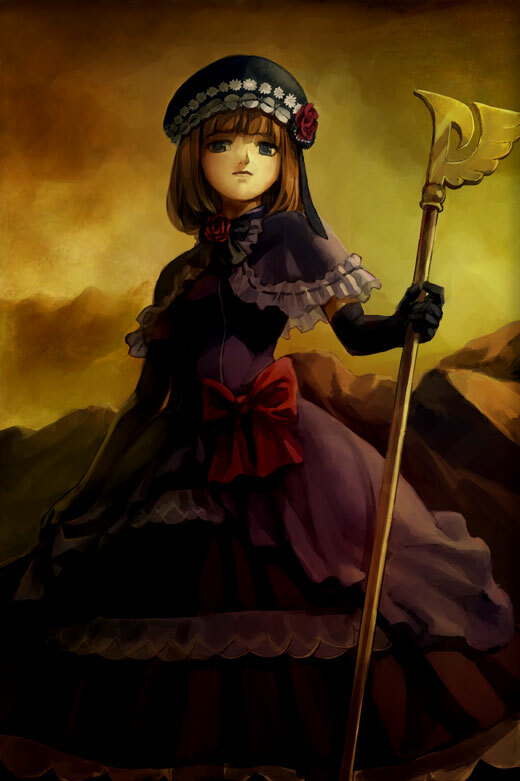 This thread is for discussions regarding Umineko Ep3, which will be released on C74. This thread can contain various spoilers for Ep1 and Ep2. CD Jacket "Anti-mystery vs Anti-Fantasy"
Last edited by kj1980; 2008-12-27 at 04:25. Where would you order to get the pre-order goods if you live in the US? Actually I have mis-read...it's not a pre-order bonus for ep3. Rather, it's a promotion from mandarake that starting 7/19, if you buy either ep2, any higurashi game, or 2100 yen worth of new doujins, you get one of the 5 slim posters. To get it from US, your might have to use some sort of deputy service. As to the real pre-ordering goods, seems that only Toranoana and Melonbooks is going to do it, and they will have it up for pre-order next week. Time to leave my name here on the first page! 3. Under maintenance...but other entries works fine. Last edited by Rias; 2008-07-08 at 01:06. I've been so hyped up about this for awhile, I don't think I can wait a month and a half for it. Would Ryukishi07 really do that when he encourages people to speculate? Or was it like inside knowledge or something? Well, Maybe it's that to announce that she is Maria was too hasty, because it could be that she is a new character, after all, in the portrait she has got green eyes (apparently), Maria has got blue eyes, that can be an evidence that they are different people. It's probably just something that Ryukishi07 didn't want out... for whatever reason. Or is it Maria = Lambdadelta? That would be a bit too far stretched, though the removal of the portrait is quite intriguing. usually, portrait is shown quite early so being a spoiler, it would change drastically how the usual plot goes on. I believe it is rather answer 1. AkibaOS has put back the entry, and added a question mark at the end of the sentence so now it reads "The person on the protrait is Maria?" isntead. Above that, anyone noticed the connections between Higurashi arcs and Umineko arcs?